TOGETHER WILL YOU BOWL THE HIGHEST TOTAL? Starting on 17th August for two weeks! 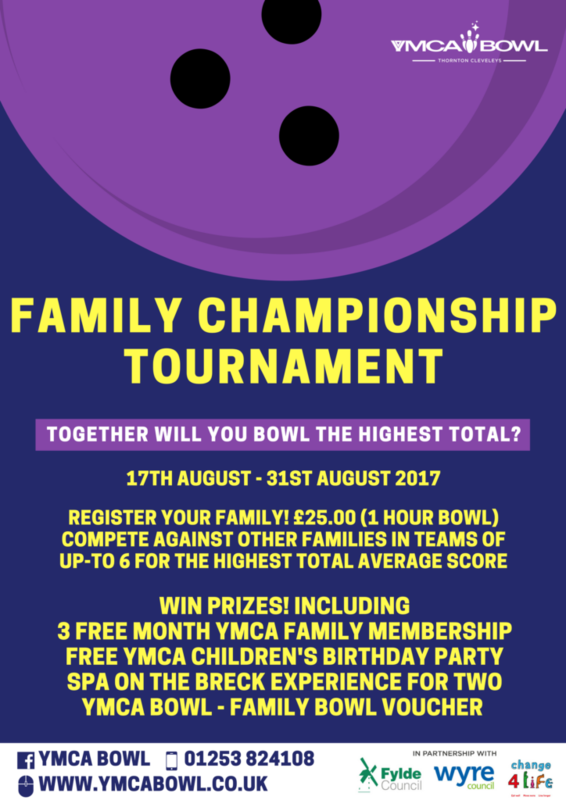 Ending on the Friday 31st August 2017, families will compete against each other to bowl the highest total. To make things fair we will have 4 prize categories! You must pre-register your family/group, entry price is £25.00 which includes an hour of bowling. Family/groups must be a minimum of 4 people and maximum of 6. Anyone over the age of 12 years must not have bumpers up. The total score is taken from one full game not the total from the hour. Teams must include a minimum of two children under the age of 16. Teams entering more than once must consist of the same players. So why not register your team now!A non refundable payment of £25.00 is required. Call in or call us on 01253 824108.